Welcome to the Weekly Wrap-Up – a rundown of the most recent social media and tech updates you should know about! Facebook Updates News Feed: In an effort to cut down on click-bait, Facebook updated their news feed algorithm. The change was made in response to user feedback regarding stories with sensational or misleading headlines. The change shouldn’t affect most Pages unless they are in the habit of posting clickbait-style headlines. Instagram Introduces Stories: Instagram users can now string together a series of photos and/or videos to create Stories. Users can also draw, write, or add stickers to their photos or videos and their stories will disappear after 24 hours. 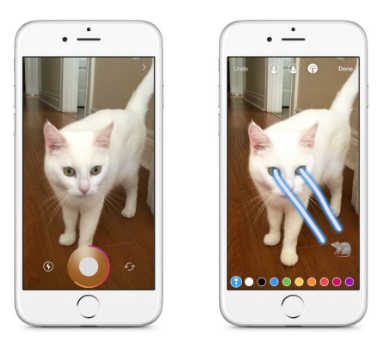 The feature is just about identical to Snapchat’s Stories feature. Pinterest to Launch Native Video Player: Pinterest plans to launch its own native video player in the coming months. The decision is based on user behavior, specifically more video posting and watching, and feedback indicating that users were more likely to try ideas they found on Pinterest after watching a video on the site. LinkedIn to Offer Influencer Videos: LinkedIn will begin to offer videos from its Influencers in the LinkedIn newsfeed. The 30-second videos will feature tips, thoughts on trends, and more from LinkedIn’s pool of 500 Influencers. Influencer videos will be available on both LinkedIn online and its app.